Solis Infotech Limited was incorporated in 2015. The company runs from its Worcester offices. The ethos behind Solis Infotech is to provide great value for money, high levels of service and hassle free web site hosting for small businesses and Sole Traders. We offer special discounts on web hosting and our design partner at www.rbdesign.me offers discounted web design for TradeDice wholesale customers. Please get in touch if you want to discuss this offer. Solis Infotech holds the TradeMarks for LegendDice and LegendGames. 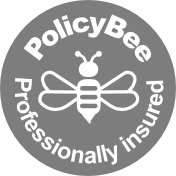 We are fully insured with Professional Indemnity and Public Liability insurance. We are a Limited Company incorporated in the UK. We are VAT registered.